With Smyrna becoming one of the hotter real estate markets in Georgia, it’s perhaps no surprise a rezoning request for a daycare center appeared on the city council’s agenda Monday night. However, some nearby residents weren’t thrilled about the idea. The council unanimously approved rezoning for a 12,350-square-foot daycare center and a 4,000-square-foot retail building at 4390 South Cobb Drive, a 1.9-acre lot. 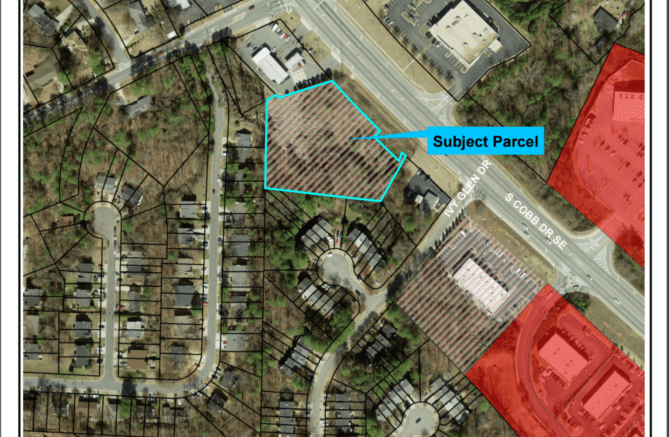 The property, near South Cobb Drive’s intersection with Cooper Lake Road, had been rezoned previously for another development but instead sat vacant for a decade due to the Great Recession. Blastoff Construction Inc. is the company that requested the rezoning. Ellen Smith, a lawyer with Holt, Nay, Zatcoff & Wasserman LLP who spoke on the company’s behalf, said South Cobb Drive sees 38,300 vehicles per day and the center will add about 200, less than half a percent increase. It will have a maximum of 169 children enrolled. But several residents from nearby Ivy Glen Court voiced concerns during public comment, mostly about traffic, safety and noise. “We don’t want to play Frogger, especially with children,” added Leigh Hodes, another local resident. 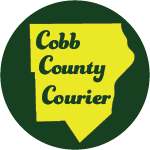 However, city councilman Doug Stoner pointed out that traffic alone is not a consideration for rezonings, and said because South Cobb Drive is a state highway it’s under the jurisdiction of the Georgia Department of Transportation. The center will be required to construct an eight-foot privacy fence to provide separation from residents along with a landscaping buffer. Council members also focused on the positive — Smyrna is attracting young couples and families increasing the demand for daycare. Jessica Ludolph, the lone resident speaking in favor of the rezoning, said she’s a parent with young children and that there are waiting lists for all of the local daycare centers. The council approved the rezoning 7-0. Be the first to comment on "Some residents voice concerns, but Smyrna council approves zoning for new daycare center"